GMD's primary focal point is manufacturing of machined components. From monolithic air frame components, to complex mechanical components assemblies, GMD's vast knowledge and experience create a glove fit resource for manufacturers looking for ability to help support their production lines. Built upon palletized machining centers and the Inverta-bolt ® work holding system, GMD is equipped to take on any airframe part at the drop of a hat. The Inverta-bolt ® work holding system allows us to go from one part number to the next with very minimal, if any, set up time. This also eliminates any NRE charges to the customer. The palletized machining centers allows for the spindle to continue working on one pallet while raw material blanks are being loaded on the other pallet. 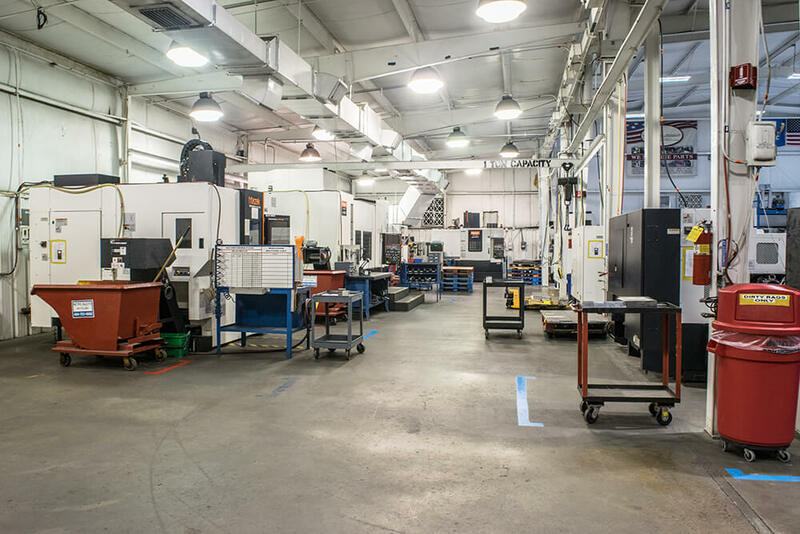 With standardized tooling and work practices in our approach we are significantly efficient and productive. With GMD's roots being traced back to a tool and die shop, we have the knowledge and experience on hand to manufacture and assemble tight tolerance assemblies to model. These assemblies typically require close tolerance fixturing, and we have the resources to know how to look at the details. Copyright © 2019 General Machine-Diecron, Inc. All Rights Reserved. Custom web design by Griffin Web Design & Marketing.